Tamil Calendar is purely based on Tamil Panchangam 2019. 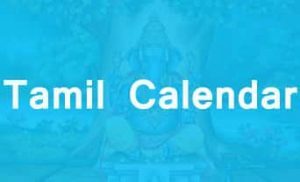 This page has Tamil daily Calendar 2019 details, Tamil monthly Calendar 2019 details, Tamil weekly Calendar details and Tamil yearly Calendar 2019 details. If anybody wants to know the Tamil date for the current day then this is the best place to get it. This Tamil Calendar 2019 page will give all the details about the day in Tamil. It includes Rasi Palan, Nalla Neram, Rahu Kalam, Yema Kandam, Thithi, Natchachiram and all other details which are in Tamil Panchangam. So we can simply call it as Tamil Panchangam too. If you want to know Nalla Neram today, Nalla Neram tomorrow, Muhurtha Neram today, Rahu Kalam today, Rahu kalam tomorrow, Muhurtha Neram tomorrow, Tamil Muhurtham dates 2019, today’s good time, Tomorrow good time then this is the best place to get it. Usually, we will have Tamil Calendar at home to refer Tamil date. But here we adopt a different approach to give you all the details about Tamil Calendar via online. So it is an online Tamil Calendar. If anybody wishes to view the present day details like today’s Nalla Neram in this page, then simply click on the date to view the complete details about the day. Likewise one can click on any Calendar date to view the details about that date. If we consider Tamil monthly Calendar, it will cover Ammavasai, Prathosam, Theipirai, Valarpirai, Muhurtham and all other stuff. Here we can view the Tamil Muhurtham dates too. So it will be really helpful for the people who search Tamil Muhurtham dates online to fix their marriage or any other function. This page will help the Tamil people in different countries to view the Tamil Calendar without buying the hard copy of the Tamil Calendar. So all can find the good time, auspicious day and all other kinds of stuff are here. Even though there is an English Calendar, most of the Tamil speaking people will follow the Tamil Calendar to organize any function in their home. Apart from Tamil Nadu, Tamil Calendar is very famous in other countries like Srilanka, Singapore, Malaysia and now Chinese and Japanese are also trying to learn the Tamil language. So this Calendar will be useful for them too. The first month of the Tamil Calendar is Chithirai and it is followed by Vaikasi, Aani, Aadi, Aavani, Puratasi, Aipasi, Karthigai, Margazhi, Thai, Masi, and Panguni. As per Tamil Calendar, Tamil new year usually falls on 14th of April. In our online Tamil Calendar, we have clearly mentioned the festival days like Deepavali, Pongal, and many other festivals. With the help of Tamil daily Calendar, one can find the good time to start any new work. At the same time, one can find Rahu Kalam and Yema Kandam too, which are usually considered inauspicious to start any new work. This will help the people to be cautious about their planning. Tamil monthly Calendar helps people to plan everything for a complete month with the help of this single page Tamil Calendar. Here we display Tamil monthly Calendar so that people can pick the dates easily and plan accordingly. Likewise, Tamil weekly Calendar will also help them to plan properly for the entire week. This is not just a Calendar. It is a kind of pre-written diary. People can just refer it for their needs. Today Tamil Calendar is essential for all Tamil speaking people to get different details about Tamil Panchangam. In this page, we have Tamil Calendar 2019 which mainly focuses on the year 2019. So Tamil Calendar 2019 will give all the details about the current year like holidays, festivals, auspicious days and many other details. Now we shall see the structure of Tamil Calendar. 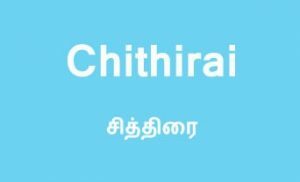 Chithirai is the first month of Tamil Calendar and the first day of Chithirai is celebrated as Tamil new year. As mentioned earlier this day usually falls on the 14th of April. This month has 31 days in Tamil Calendar. 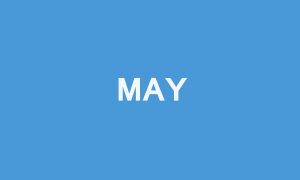 As per Gregorian Calendar, this month ranges from mid of April to mid of May. Vaigasi is the second month of Tamil Calendar and it ranges from mid of may to mid of June. Vaikasi month has 31 days. Aani month is the 3rd month of Tamil Calendar and it has 32 days. English Calendar has a maximum of 31 days a month. But in Tamil Calendar, 32 days is the maximum count. 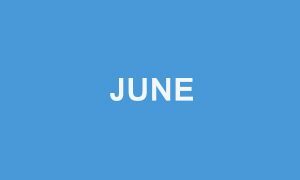 This month ranges from mid of June to mid of July. 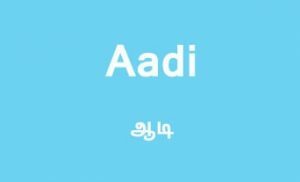 Aadi is the 4th month of Tamil Calendar and it has 31 days. Aadi month is the auspicious month for Amman and this month mostly ranges from mid of June to mid of July. 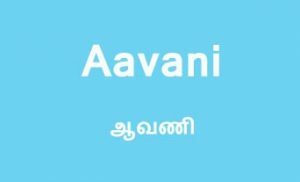 Aavani is the 5th month in Tamil Calendar and it has 31 days. Avani month in Tamil Calendar mostly ranges from mid of July to mid of August month of Gregorian Calendar. 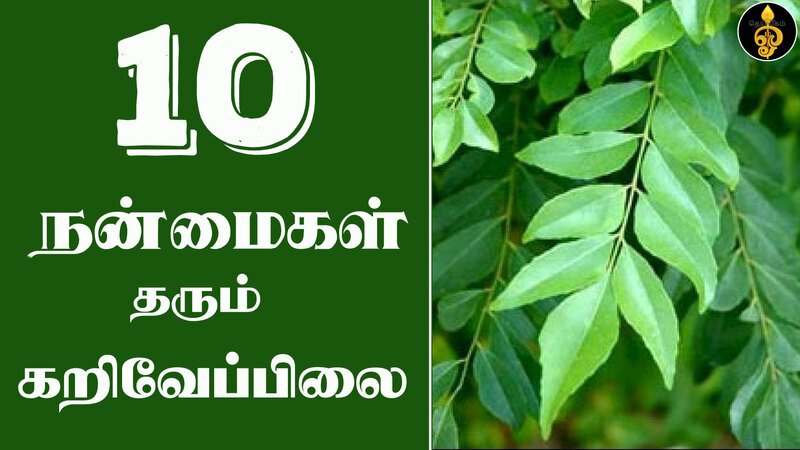 Puratasi is the 6th month in Tamil Calendar and it has 31 days. Puratasi month in Tamil Calendar mostly ranges from mid of August to mid of September month. Ipasi is the 7th month of Tamil Calendar and it has 31 days. 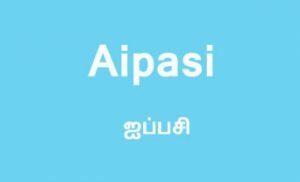 Aipasi month in Tamil Calendar usually ranges from mid of September to mid of October month. 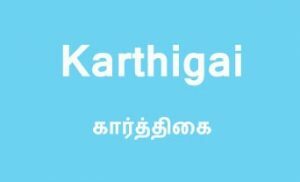 Karthigai is the 8th month in Tamil Calendar and it has either 29 or 30 days depending on the year. Karthigai month usually ranges from mid of October to mid of November. This month is considered as an auspicious month in Tamil Calendar. Karthigai Deepam, the famous festival of lamps is celebrated this month. Maargazhi is the 9th month in Tamil Calendar and it has 29 days. Maargazhi month in Tamil Calendar is treated as the month dedicated for God. During Margazhi month most of the Tamil people will wake up early and worship God. Thai is the 10th month of Tamil Calendar and it has either 29 or 30 days depending upon the year. Thai month in Tamil Calendar is very famous for Pongal festival. 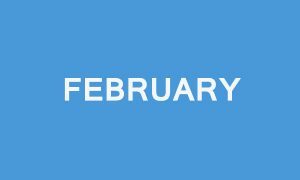 This month usually ranges from mid of January to mid of February. 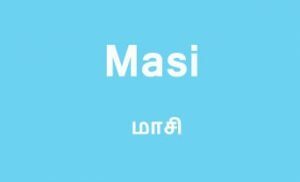 Maasi is the 11th month of Tamil Calendar and it has either 29 or 30 days. 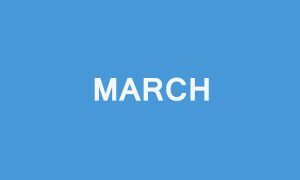 This month usually ranges from mid of February to mid of March. Panguni is the 12th month of Tamil Calendar and it has 30 days. In Tamil Panchangam, there will be a name for every year and Each year will be called with that name only. For example Tamil Calendar year 2013 was called as Vijaya Varudam, Tamil Calendar year 2014 was called as Jaya Varudam, Tamil Calendar year 2015 was called as Manmath Varudam, Tamil Calendar year 2016 was called as Thunmuki Varudam, Tamil Calendar year 2017 was called as Hevilambi Varudam, Tamil Calendar year 2019 will be called as Vilambi Varudam. This naming will start from 14 of April Since Tamil new year starts from 14th of April as per Tamil Calendar. Sunday is called as Nayiru in Tamil daily Calendar. As per Tamil daily Calendar, Monday is called as Thingal. Tuesday is called as Sevvai as per Tamil daily Calendar. Wednesday in Tamil daily Calendar is called as Budhan. Thursday is called as Viyazhan in Tamil daily Calendar. Friday is called as Velli as per Tamil daily Calendar. In Tamil daily Calendar, Saturday is called as Sani. As per Tamil daily calendar, seasons in a year are divided as 6. As per Tamil daily Calendar, Spring Season is called as Ilavenil Kaalam. 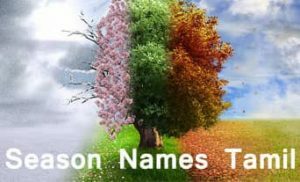 This season usually ranges from Mid of April month to Mid of June Month. As per Tamil daily Calendar, Summer Season is called as Muthuvenil Kaalam. This season usually ranges from Mid of June month to Mid of August Month. As per Tamil daily Calendar, Monsoon Season is called as Kaar Kaalam. 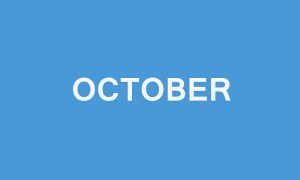 This season usually ranges from Mid of August month to Mid of October Month. As per Tamil daily Calendar, Autumn Season is called as Kulir Kaalam. This season usually ranges from Mid of October month to Mid of December Month. As per Tamil daily Calendar, Winter Season is called as Mun Pani Kaalam. This season usually ranges from Mid of December month to Mid of February Month. 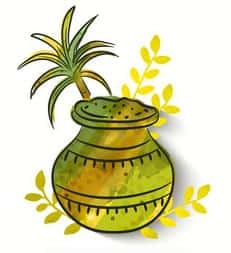 As per Tamil daily Calendar, Prevernal Season is called as Pin Pani Kaalam. 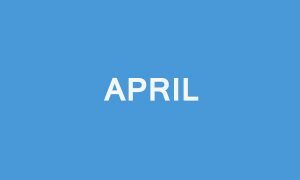 This season usually ranges from Mid of February month to Mid of April Month. As per Tamil Panchangam, there are nine Rasi and 27 Natchathiram. In this Tamil daily Calendar page, we have given the daily Rasi Palan, weekly Rasi Palan, monthly Rasi Palan for each Rasi. Likewise, we have given weekly Natchathira Palan for each Natchathiram in Tamil. As per Tamil monthly Calendar, Amavasi will come once in a month. On that day people will give Tharpanam for their ancestors. It is believed that it will make ancestors happy. Pournami will come once in a month as per Tamil monthly Calendar. On that day people worship God and some people go around the mountain. It is called as Giri Valam. It is the believed that it will increase body energy. 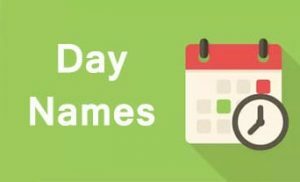 Like these, there are many more auspicious days and those days are clearly noted in our online Tamil Calendar so that people can get all the information in one place with the help of our Tamil daily Calendar. Tamil Calendar 2019 today has every detail about the current day in Tamil. It includes today’s good time i.e Nalla Neram Today, Rahu Kalam, Thithi, star and all the details with respect to Tamil Panchangam in Tamil. Tamil Calendar 2019 January mainly focuses on the details about January month 2019. There are many Tamil festivals like Bohi, Pongal in the month of January. All those festivals dates are listed here. Apart from that all other auspicious days in January 2019 will be completely listed under Tamil Calendar 2019 January. 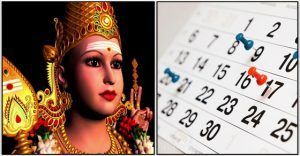 Tamil Calendar 2019 February gives details about Muhurtham days in February 2019 and festivals dates. Usually, the very famous devotional day called Shivarathri falls in the month of February. 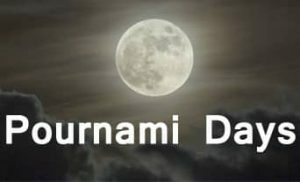 Full moon day, new moon day is called Pournami and Amavasi in Tamil. Those details for February month 2019 will also be given in Tamil Calendar 2019 February. Some Tamil festivals like Masi Magam, Rama Navami will come mostly in the month of March. All those details are listed here under Tamil Calendar 2019 March. Apart from that, the entire Panchangam details for March month is explained here in Tamil. Tamil new year usually falls in the month of April. Likewise in 2019 also Tamil new year falls on 14th of April 2019. The entire details about the next year(Vilambi year) are explained clearly in Tamil Calendar 2019 April. A very famous auspicious day called Chitra Pournami falls in the month of April. Complete details about that day are explained in Tamil in Tamil Calendar 2019 April. Akshaya Thiruthiyai mostly comes in May month. On that day people will buy gold. So the good time to buy gold will be listed in our Tamil Calendar 2019 May. Usually, Agni Nakshatram begins this month. So do’s and don’ts in Agni Nakshatram are listed clearly in Tamil Panchagam. So we cover all those details under Tamil Calendar 2019 May. Most of the time there won’t be any festivals in June except some marriages. So Tamil Calendar 2019 June just covers the usual Tamil month auspicious day like Amavasi, Ekadhasi, and others. 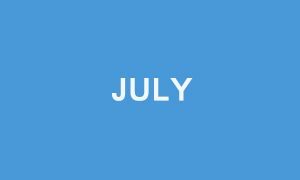 Like June there are not many functions or festivals in July month too. So our Tamil Calendar 2019 July will just cover the Muhurtham dates, Kiruthigai, Sangada Hara Chaturthi and other auspicious day details which are there in all months. There are more auspicious days in August month like Aadi Pooram, Aadi Perukku, Aadi Ammavasi and many others such days. This month is very special for Amman. Especially all the Fridays are considered as a good day in this month. So good time for all the day in this month, auspicious days and other normal details are explained completely under Tamil Calendar 2019 August. Vinayagar Chathurthi, Gokulastami and few other auspicious days mostly fall on September month. Tamil Calendar 2019 September gives complete details about September month. 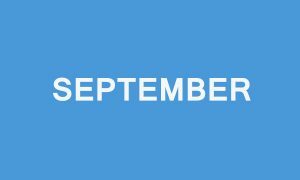 Some good auspicious days which are followed not only by Tamil peoples but also by most of the Indians mostly comes in October Month. Navarathri is a nine-day festival which mostly comes in October. Mahalya Amavasi and Ayudha puja are very famous festivals in India and they mostly come in October month. Tamil Calendar 2019 October gives you the clear picture about these auspicious days. Very famous festival in India is Diwali which comes mostly in October or November month. People burst crackers and celebrate this festival. Tamil Calendar 2019 November gives details about when to take Ganga Snanam on Diwali, What is the good time to worship God on Diwali and all those details. Apart from that, it gives you details about each day of this month. December is the last month in the Calendar but in Tamil Calendar it is not the last month. and it is an auspicious month as per Tamil Panchangam. People will start worshiping God early in the morning of this month. Lord Ayyapa devotes worship Ayyapa, especially this month. 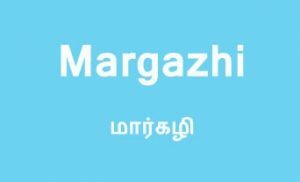 Tamil Calendar 2019 December gives you the necessary details in this Margazhi month completely. We hope this Tamil daily Calendar will help millions and millions of Tamil people to get the accurate details and we are really proud to publish this daily Calendar in Tamil. We have put in great effort to develop this daily Calendar in Tamil just to make the Tamil people’s work easy. This Tamil Daily Calendar will be definitely useful for the young generation who love to view everything in the web instead of using hard copy.